Welcome to another First Kiss Friday. You may remember today’s guest, Cathy MacRae, from our Medieval Monday hop. 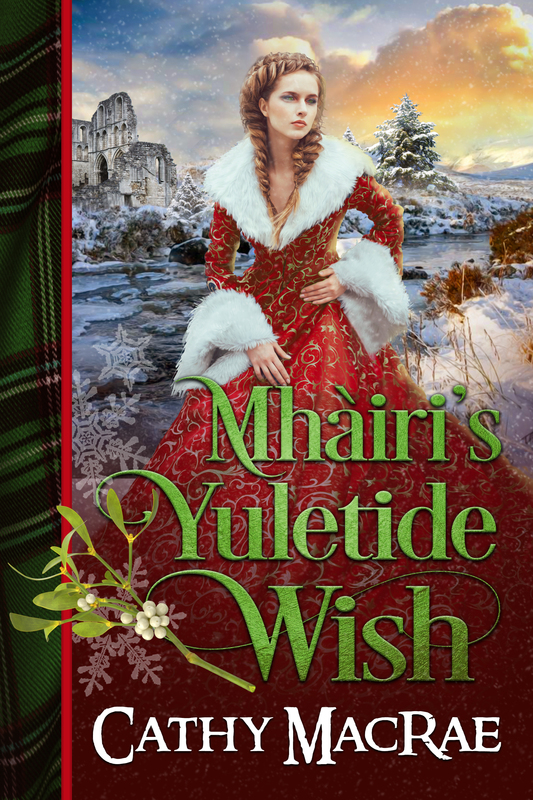 Today she’ll be sharing a first kiss excerpt from Mhàiri’s Yuletide Wish that is currently available in the box set, Once Upon a Christmas Kiss. Happy reading and enjoy! Her eyes sparkled, lips parted slightly. Michaell stepped closer, placed his hand lightly on her sleeve, feeling every warp and weave against his fingertips, aware of the warmth of her skin through the cloth. He lowered his head, inhaled the sweet fragrance of her hair. He threaded his fingers through the plaited tresses at the back of her head, cupping her head in his palm. Mhàiri’s eyes closed at the touch of Michaell’s fingers at the nape of her neck and she melted as his lips touched hers. Colors as luminous as the lights in the north sky burst inside her. She leaned into his embrace, giddy with the sensations of his hands and mouth. She was no longer the long-suffering granddaughter of Lord Scott, doomed to wed a man who did not want her, but the young woman Michaell Kerr had chosen for his bride. A crash doused them in reality. Henry yipped and leapt onto the bed as if the platter rattling to a stop on the floor had chased him to the tall mattress. Giving the tray a glower, he sank onto the thick coverlet and proceeded to devour the meat pie he’d stolen. “Henry!” Michaell’s scold was half-hearted and breathless. He cleared his throat and pulled Mhàiri against his chest. She rested there, hand tucked beneath her chin, one arm about Michaell’s waist. No place had ever felt so good, so right. All her accusations and anger against Michaell vanished. He was her hero and had saved her once again. But she had a more pressing task ahead, and regret at leaving his arms would not save her uncle. “I must go.” She gently broke from his embrace. “I will send someone to fetch him. Rest easy.” He stroked a braid over her shoulder and Mhàiri’s heartbeat quickened. Overwhelmed by the desire to return to his arms, she twirled slowly, grasping for distraction. Her gaze lit on the little terrier greedily licking stains off the bed cover and rushed to his side, shaking a scolding finger. “That would suit Henry just fine.” Michaell’s voice tightened, his eyebrows tilted together over his nose. Happiness and something unidentifiable swept through Mhàiri. She sighed. Mhàiri nodded, afraid if she spoke again she’d ask him to stay. It was impossible to want him so and know she was expected to marry Lord Henderson. If Baron de Percy rejected the offer of her brooch, Lord Henderson was her uncle’s only hope. Michaell gripped one of her hands then kissed her cheek. A moment later, he was gone. Bound to a man more than twice her age in exchange for the price of her uncle’s ransom, Mhàiri Burns is desperate to avoid the match. Rather than simply await her fate, she sets out in a snow storm to seek a mysterious brooch rumored to the answer to her prayers. Though it is the season for peace and goodwill, her uncle will perish at the hands of the English if Mhàiri cannot rescue him by the end of Yuletide. Michaell Kerr has loved Mhàiri since they were children. Discovering her grandfather has pledged her to another man sets Michaell in a race against time to find a way to break the betrothal—and help Mhàiri save her uncle. What Mhàiri and Michaell receive this Yuletide season could prove more than they had ever dreamed. Cathy MacRae lives on the sunny side of the Arbuckle Mountains where she and her husband read, write, and tend the garden—with the help of the dogs, of course. 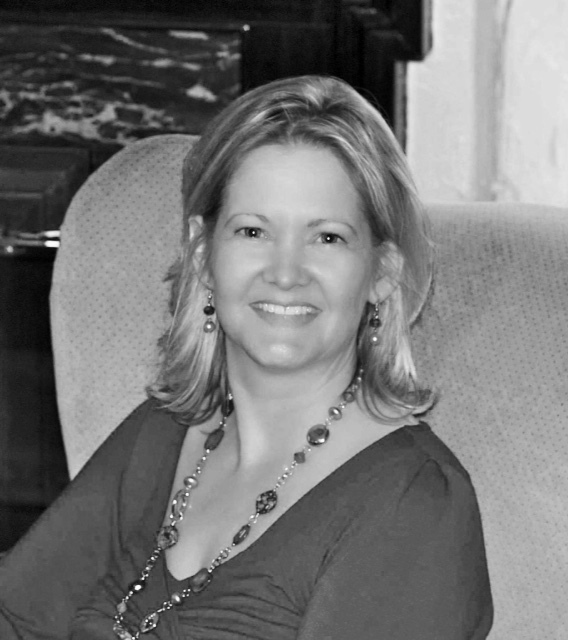 You can visit with her on facebook, or read her blogs and learn about her books at www.cathymacraeauthor.com. Drop her a line—she loves to hear from readers! To keep up with new releases and other fun things, sign up for her newsletter! Happy Friday! I bought this box set and am slowly making my way through each story! I cannot wait to read this one! Thanks Cathy and Sherry! Thank you, Lori!! I hope you enjoy Michaell and Mhairi’s story. Thanks for stopping by today! You and your characters are always welcome!